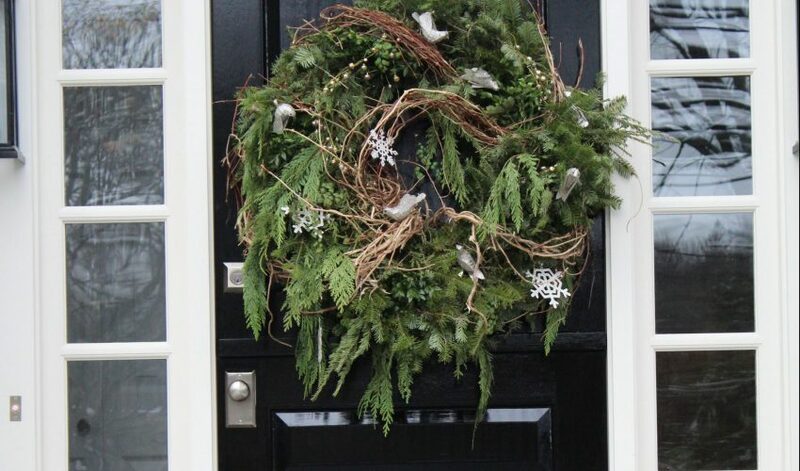 Nothing says “warmth and good cheer are just a knock away” than a beautiful, customized wreath on your front door. Anyone can purchase a standard wreath with a pre-made red bow, but Casual Luxury principles do apply here. The devil is in the details, after all, so amp up your holiday wreath with something more interesting, more MARvelous? You don’t have to shell out the gobs of extra cash and have a garden center create a masterpiece for you. You truly can do it yourself. Each year, I challenge myself to do something resourceful, unexpected, and unique for my holiday door wreath. Over the years, I have discovered endless options for creativity. Plus, it really is so much fun. I always start the process the same way. First, purchase a plain, inexpensive, 19-inch wreath. You can usually find one for under $20. Then the creativity begins. I use many items that I already have from my garden — a favorite design principle of mine. Evergreen clippings. If you do not have any to choose from in your garden, ask your neighbors for a few clippings, and all nurseries have a wide array of evergreens for the holidays. Spool wire and any additional decorations you like. I have used various holiday ornaments, ribbons and bows, pinecones, and more. Make sure to put your own personality into your wreath. Place the 2 wreaths together back to back. Use 2 lengths of wire about 8 inches to secure the two wreaths together. I secure the wreaths at the top and bottom — or at 12 and 6 o’clock. Decide which will be the back and loop the wire around and tighten like a bread twist-tie. Turn your glorious wreath over, and assess it from the front. If you feel your wreath is full and fabulous enough, begin adding the decorations you have selected. Attach wire still connected to the spool at 12 o’clock, and then begin to wrap it around the circumference of the wreath, moving either clockwise or counterclockwise. This creates places to insert additional cuttings and greenery. Keep wrapping with wire to secure them all, making sure each cutting lies in the same direction as the one prior. This method hides the woody stems and looks neat as one overlaps the next. When you get back to 12 o’clock, cut the wire and secure it by twisting it around the start of your wire. Tuck all ends and wires in, so all the wire and cutting ends are out of sight. At this point, you can add even more clippings to fill out your wreath by simply inserting them into the now amply-appointed wreath. For an additional personal touch, find interesting ribbon that will really pop next to the greenery. I love wire-edged ribbon because it holds its shape and can create a whimsical design. When creating a ribbon bow, use multiple layers or ribbon for a bold punch. This is a truly fun and festive project. Why not invite friends over before the holidays and make a party out of the process. Everyone can inspire each other while enjoying time together prior to the holidays — and each guest will leave with a holiday decoration they’ll never forget. Whatever you choose, do encourage yourself to take your holiday d̩cor to the next level, get creative, and most importantly — have fun. 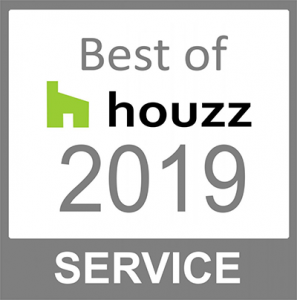 Each year, you will learn what you like and what works best for your home. When you’re done, sit back and enjoy the compliments and extra-special customized holiday wreath.